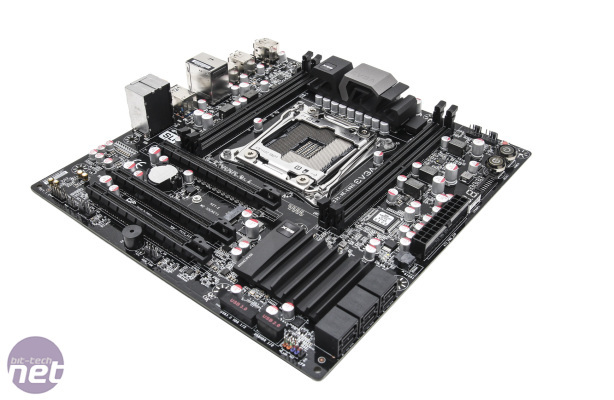 We were somewhat surprised at the X99 Micro's price tag, namely because many full-size ATX equivalents, such as MSI's X99S SLI Plus, cost noticeably less and Asus' X99 Deluxe, which is in a different league, retails for just £90 more, while ASRock's micro-ATX Fatal1ty X99M Killer is already doing the rounds at a lower price too. 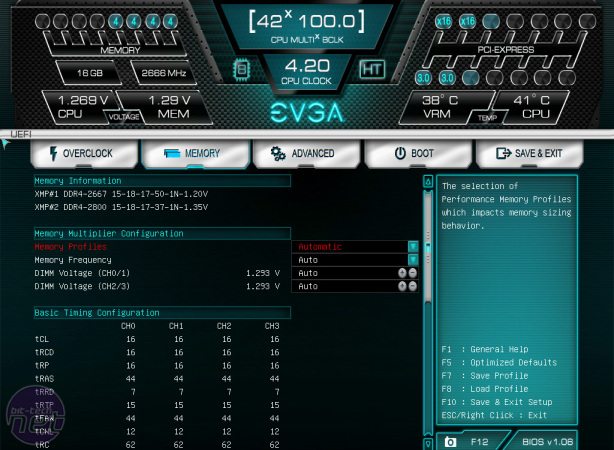 However, we can't bash something based on price alone and EVGA's dinky X99 offering certainly doesn't disappoint on looks. 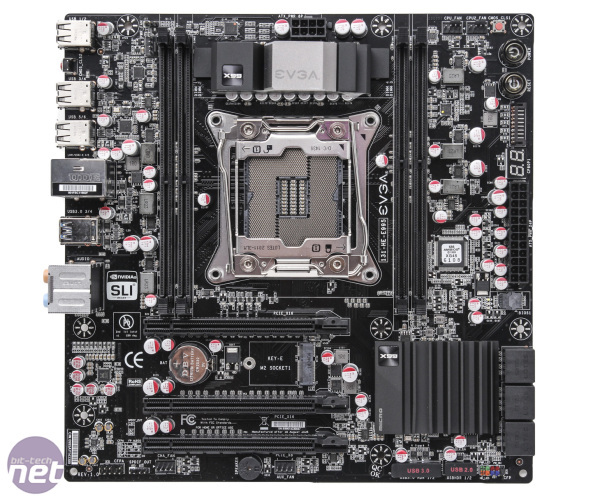 Strangely, the large LGA2011-v3 socket seems to stand out here and EVGA's colour scheme complements it with metal-coloured heatsinks and a black PCB. 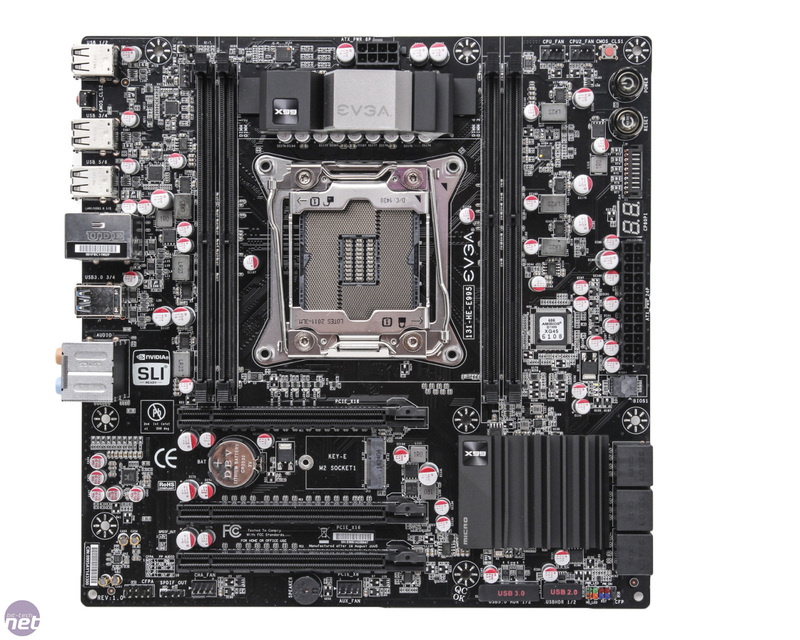 There's also a polished metal shroud that can be fitted to hide the rear I/O ports but overall this certainly wouldn't look bad in a small micro-ATX case. There are a few features that go some way to justifying the slightly above average price too. 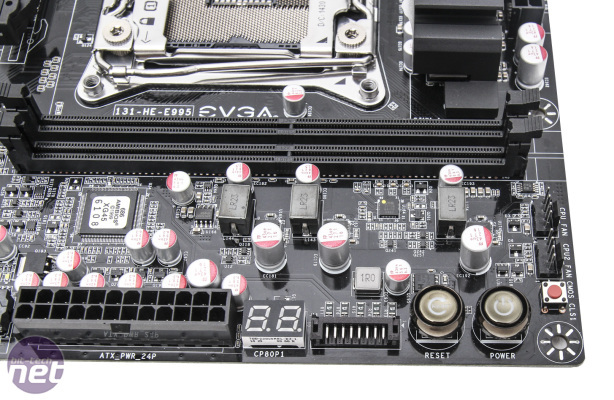 There are on-board power, reset and CMOS clear switches (the latter appearing on the I/O panel and mid-board) along with an LED POST code display. 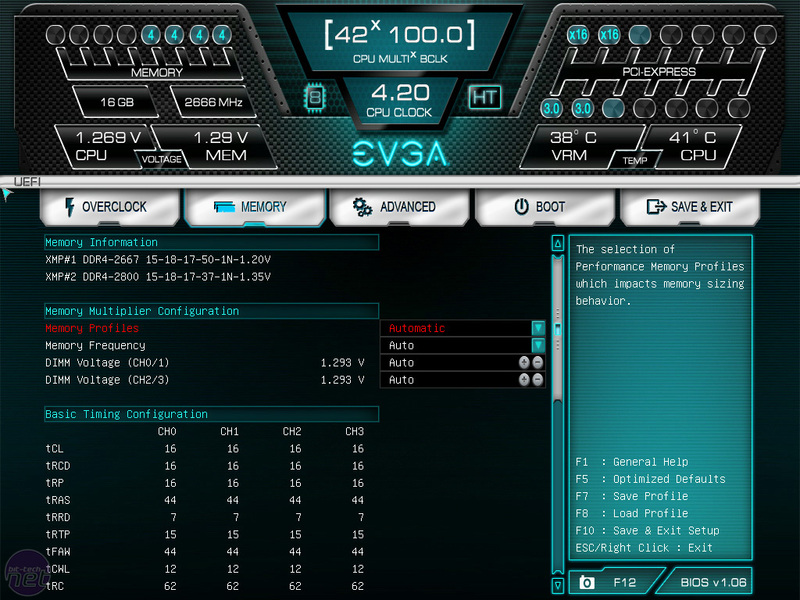 Layout is generally very good too, although EVGA has only included four DIMM slots whereas larger examples have the full eight. However, from here, things get a little lacklustre. 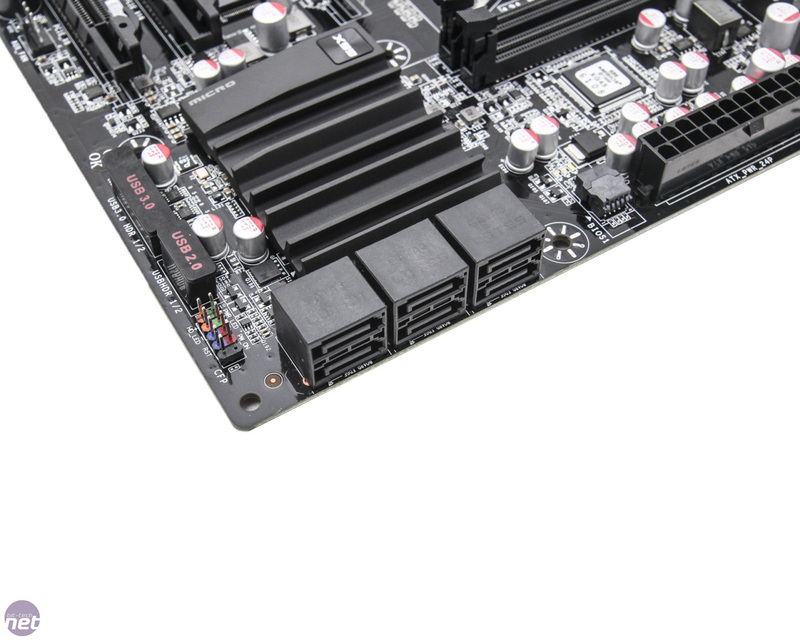 There is an M.2 port but it's Type 2230 (30mm) devices only so no SSDs will fit, plus SATA Express isn't included either. 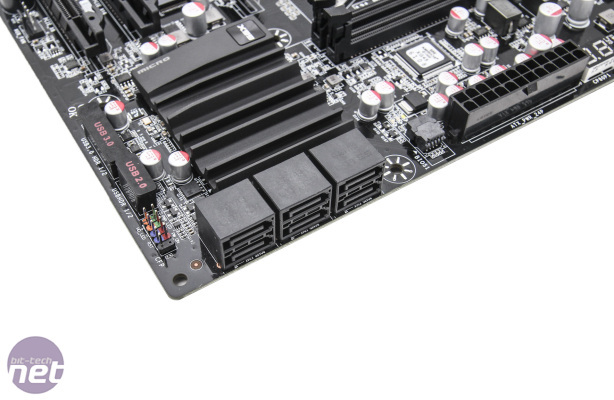 There's also the issue of the port being covered by a single graphics card - something Asus has averted entirely, while the other boards on test, mostly due to their size, have the port located beneath the second PCI-E slot. 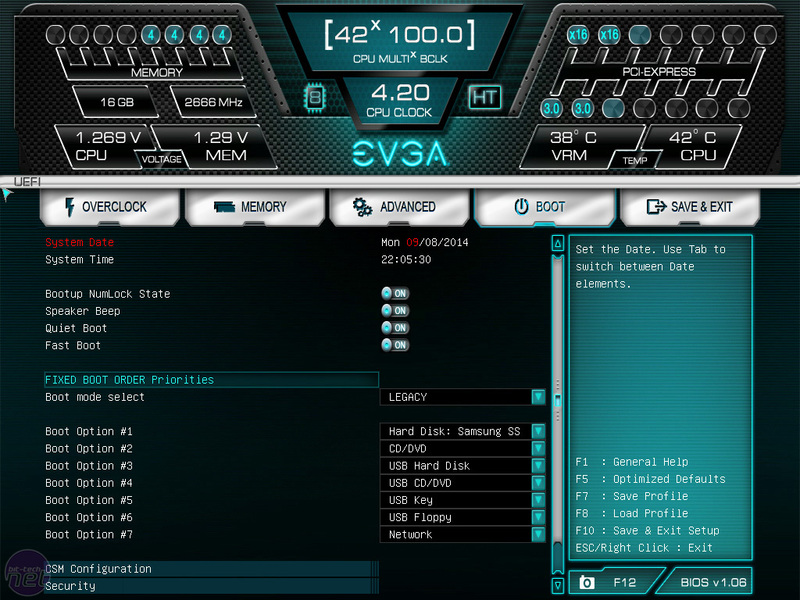 Also, only the top two slots can run in full x16 mode if you have a 40-lane CPU, meaning there's next to no clearance for the top card's air cooler. 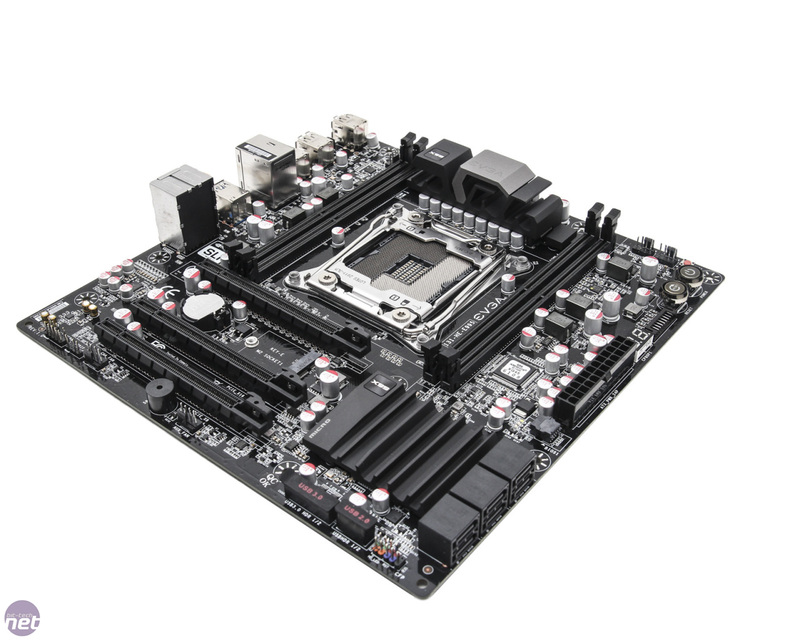 Overclocking-wise, the X99 Micro could only muster 4.2GHz using a vcore of 1.275V and 33x multiplier with the CPU strap at 125MHz. This isn't amazing but there's only 150MHz between the boards we've tested so far anyway. 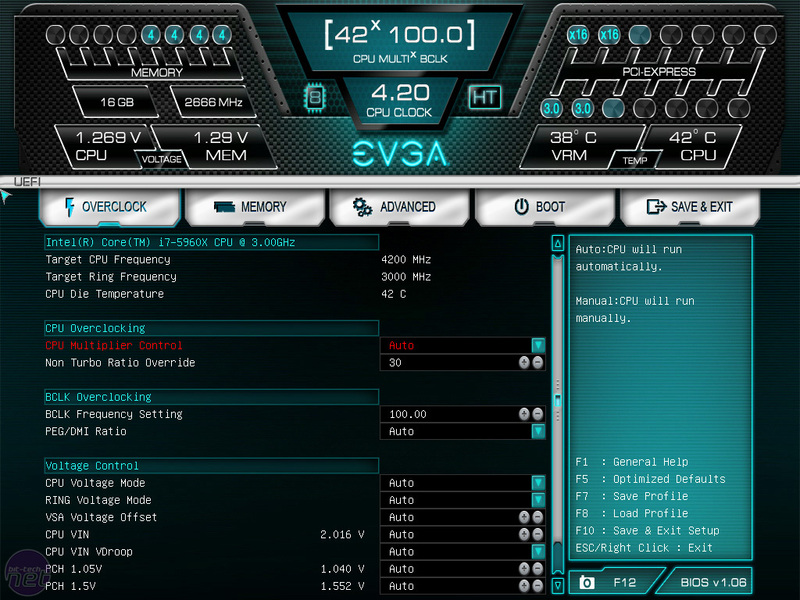 Heat was again the main issue, with 4.3GHz being stable for a short time using 1.325V but the CPU eventually throttling due to the heat. 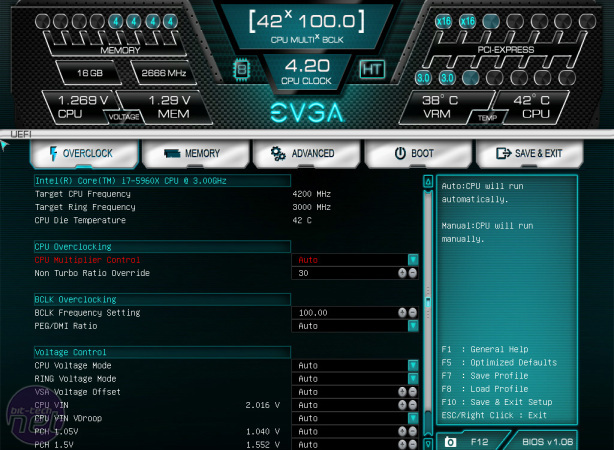 Aside from the mediocre feature set, the EFI isn't wonderful either. It's snazzy enough but feels very basic compared to others on test. 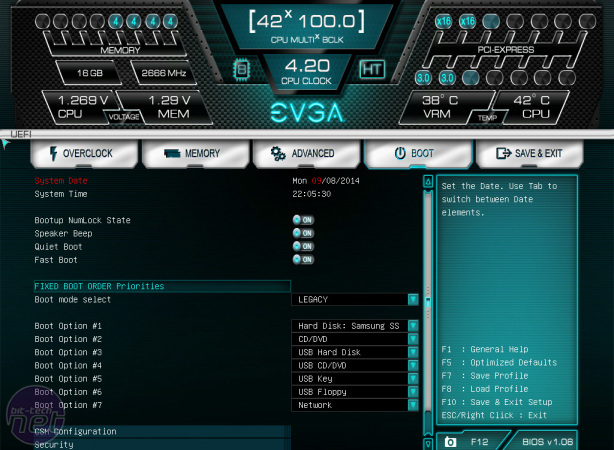 However, the main overclocking settings were split into different groups, which can be easier instead of dealing with a great long list of options.